Corporates play a critical role in either damaging or protecting the environment. 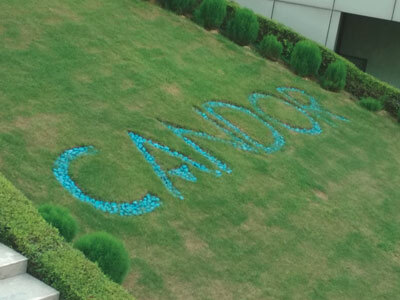 Here is how Candor TechSpace sets an example through its water conservation and recycling initiatives. When it comes to the motto, ‘Reduce, Reuse, Recycle’, how many of us implement this concept in the workplace? Fortunately, more and more companies are committing themselves to reducing, reusing and recycling resources. Candor TechSpace, for instance, makes efforts to demonstrate this philosophy by making all of its campuses as sustainable as possible. The aim is also to lower its carbon footprint and significantly reduce the amount of natural resources its campuses consume. Let’s focus on how Candor TechSpace is using less water to lighten the burden on Mother Earth. 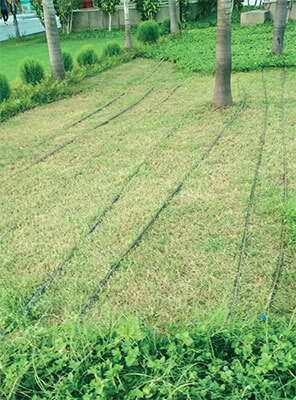 In Candor’s campuses, the conventional watering systems for horticultural areas and green belts have been converted to drip irrigation. Drip irrigation can save water by allowing it to drip slowly to the roots of plants. Since the water goes directly to the plant’s roots, it minimises evaporation. Indeed, when it comes to Candor’s campuses, the drip irrigation system with its sprinkler-based facility has resulted in 50 per cent reduction of water usage for horticultural purposes. We can save water if we turn off the tap when not using it, but did you know that there are ways to save water when you turn on the tap too? In Candor TechSpace campuses, inefficient faucet aerators have been replaced with water-efficient ones to lessen water usage. This has resulted in reduction of water usage by 10 lpm (litres per minute) per faucet in every use. Green vegetation cover is great for retention of soil moisture and recharging of groundwater. Candor TechSpace campuses have designated green belts or planned open spaces that are safeguarded from construction activities. The objective behind promoting the development of green belts in and around campuses has been to increase the water entrapment areas. Also, green belts reduce the suspended particles in the air since the dust settles down with the grass cover. Native species of plants have been planted in these green belts to increase natural recharging of groundwater through rainfall. Rainwater harvesting pits allow the rainwater to replenish groundwater by recharging the underground aquifers. It can be built to help the water infiltration in an area. 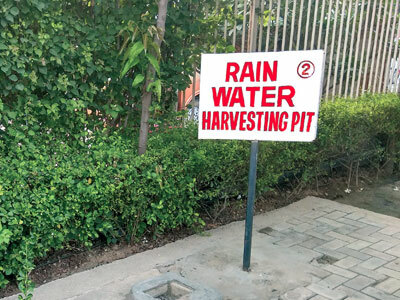 There are 27 operational rainwater harvesting pits in Candor’s campuses, each with a water-capturing capacity of 2-5 kl/hr. These pits are cleaned regularly to maintain their efficiency. 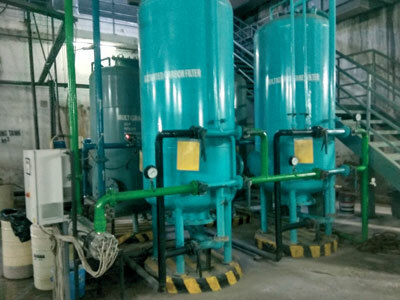 To save, recycle and reuse waste water, Candor TechSpace has also set up state-of-the-art sewerage treatment plants (STPs) across its campuses. After treatment, and a final check for the absence of pollutants and impurities, this water is used in diesel generating sets, and for watering plants, flushing toilets and heating, ventilation, and air conditioning (HVAC). The STPs have made it possible to save 3,780 kld (kilo litres per day) of fresh water to be used in the campuses for these purposes. In fact, the total water requirement for these activities is presently being met by the recycled water. Efforts are made on a regular basis to maintain and upgrade the STPs, which in turn has reduced the demand for fresh water considerably. 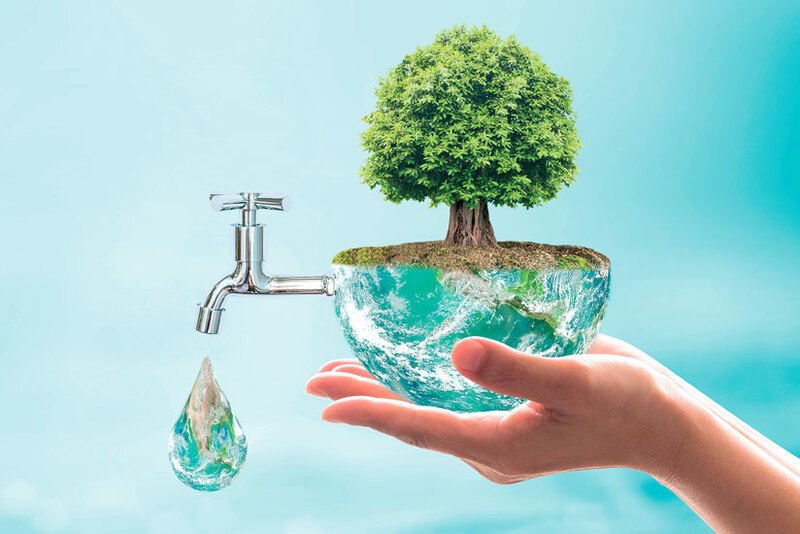 Candor TechSpace has come a long way with implementation of water conservation and recycling initiatives across its campuses. But it still has a lot more work to do in this regard, so keep watching this space for more on our journey of sustainability!